Welsh band The Echo and The Always (formerly Sleepy Panda Club) have certainly broken the typical mould of a band that are multi-genre and have a woman as their lead singer (queue many conversations about 'feminism'), and are taking over the radio waves and media, as their music has been played on the likes of BBC Radio 1 and they've played Focus Wales every year since 2012. Since the release of their debut EP Lemonade in 2013 and recent single release 'Go Easy', their album has been in high demand. ...and After That The Dark has been described as "hard to define" and any listener would agree with that. It's an eclectic mix of many genres and they've pulled it off so well, with both catchy and slow songs, bringing a lot of new variety to the table, with the album title being taken from Alfred Tennyson poem 'Crossing The Bar' being pretty unique, as well as their lyrics. 'History of Trees' starts the album off on a slower note, just being a piano for the first minute and a half or so, then the lyrics and heavy drum beats come in, with minimal guitar, as that would ruin the magnificence of the lyrically striking song about mental health, shown through use of obscure imagery such as colours and trees, showing just a snippet of what this band can achieve lyrically and how they are doing something different from all the others and portraying these simple images differently. 'Capable Of' even intertwines an orchestral instrumental with the heavy feel of the song and the whole record, adding another dimension to their sound. The album is very problem-centric, about the anxieties of everyday life and relationships; how breakups can make you very untrusting for the next relationship you enter and 'Go Easy' tells that story best. Its catchy, fast-paced rhythm doesn't make the overall feel of the whole album too depressing - they've found a great balance and have a great ability to crossover to different genres and then back again with ease. 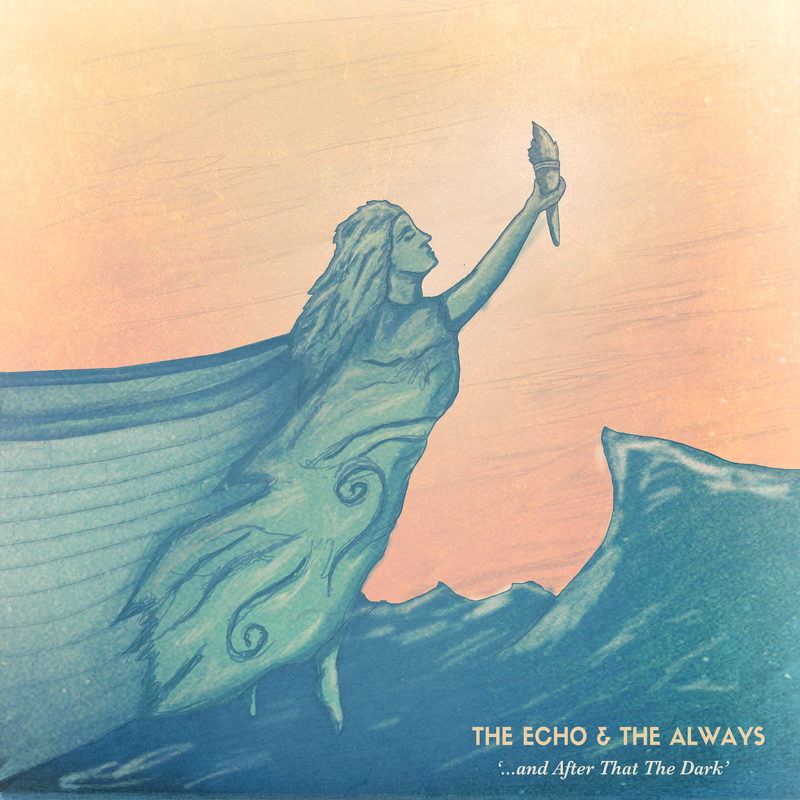 If you want an album to listen to that has an unfamiliar and ever-changing but with relatable lyrics, then The Echo & The Always have completely nailed it. You can buy ...and After That The Dark on Amazon , iTunes or stream on Spotify. You also may be able to find the CD and Vinyl in music stores around the UK. They're playing at Clwb Ifor Bach in Cardiff tonight (October 30th) and you can get tickets for this event here. Follow The Echo & The Always on Twitter, Facebook and Instagram to keep up with what their doing. Follow me on Bloglovin', Instagram and Like my page on Facebook to see what I'm posting next, as soon it's posted.